The families of two teenage air cadets who were killed when two planes collided in mid air say their lives have been shattered by the loss. 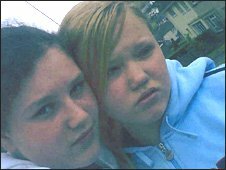 Cousins Nikkita Walters, 13, and Katie-Jo Davies, 14, along with their two instructors, died in the incident over Porthcawl last Wednesday. In a joint statement released through South Wales Police, the families said the cousins were also best friends. They had been on an RAF air experience flight when the planes collided. The wreckage of the two aircraft was strewn across Kenfig Nature Reserve. Investigations involving the police, the Air Accidents Investigation Branch (AAIB) and an RAF board of inquiry are continuing into the crash, which also claimed the lives of instructors Hylton Price, 63, from Bridgend and Andrew Marsh, 24, from Penarth in the Vale of Glamorgan. Both girls were from Evanstown, near Gilfach Goch in the south Wales valleys, and Year 9 pupils at Tonyrefail Comprehensive. In a tribute to Nikkita from her father Gerwyn, mother Keturah and brother Nathan, the teenager was described as "happy, outgoing, intelligent and loving". "She had hoped to become a forensic scientist and we have no doubt that she would have achieved her dream," they said. "Nikkita loved to try everything and was not afraid to have a go at anything. "She loved being in the air corps and would not have missed the opportunity to go flying for the world." 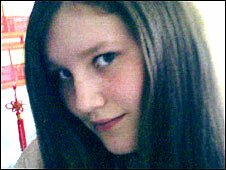 A tribute to Katie-Jo from her mother Ridgena, sister Rhian and brother Thomas said she was "always full of fun". "At home she was cheeky and stubborn, with an answer for everything, but in the classroom she was always quiet and polite," they said. "Her family and friends however knew the true, beautiful, loveable, quirky Katie-Jo. "Katie-Jo loved the air corps as it was a great opportunity for a young girl with an interest in a career in the air force when she left school. "She took great pride in her uniform and polishing her boots. We were all so proud of her." The families also issued a joint tribute about the pair saying their hearts were broken and their grief was "beyond words". "They were much more than cousins; they were best friends and sisters together in life, who will remain together forever," they said. "They laughed together and enjoyed the same things. They were both so full of life and their energies were always in unison."